But I guarantee if you put it on your list and go, you won’t be disappointed. Only in Namibia will you see such spectacular sand dunes. What first attracted me to this western African country were pictures of stark red sand dunes. I must see those!” I said to myself, my husband, and a travel-savvy friend. And so, within days, we had booked a trip with Natural Habitat almost a year in advance of actually going. Namibia is a country of stunning contrasts. It is home to two great deserts. The Namib (the world’s oldest desert) runs along the country’s entire Atlantic coast and is where you’ll see the red dunes and sea of sand. Kalahari Desert in the eastern interior is an arid savannah that extends into neighboring countries. Sand even covers mountains in the desert regions of Namibia. In between these deserts lies the Central Plateau with wide-open plains and rugged, virtually impassable mountains. 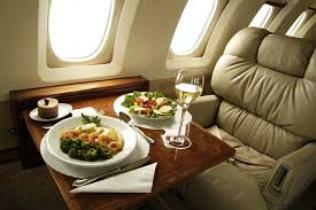 Getting from place to place generally involves flying in a small private airplane. But from the air you see open landscapes that are a panorama of endless blue skies, dark starry nights, and sunny weather. This astonishing array of natural wonders increasingly attracts visitors to this extraordinary country. Aerial view of the desolate landscape in much of Namibia. Most of the sparse population (just over two million people) lives in the northern region where water supplies are more reliable. This is also where the greatest diversity of wildlife can be found and includes popular Etosha National Park Here you can see increasing numbers of rare large mammals that have learned to adapt and thrive in this semi-arid region. Among those to be seen on safari: the world’s largest concentrations of free-roaming cheetahs and desert-adapted elephants and black rhinos. Wildlife safaris are increasingly important to the economy of Namibia. The culture comes from previous rules: German, British, and South African, Namibia is a young country having gained its independence in 1990. Various colonial influences and African cultures are evident in cities like Windhoek, the capital which is located in the Central Plateau. This is where our journey began, and I’ll describe highlights from our trip in future posts. Sunsets in Namibia are glorious. Fact: Namibia was the first country in the world to incorporate the protection of the environment into its constitution. Namibia’s many national parks and game reserves are owned by the government and managed by the Ministry of Environment and Tourism. As the country continues to realize the importance of tourism, this commitment is increasingly evident. Despite receiving low annual rainfall, having private conservation areas and governmentally-protected regions allows the lands of Namibia to support hundreds of species of wildlife including large mammals, big cats, plains game, and more than 600 species of birds. To accommodate increasing numbers of visitors, many high-quality, affordable lodges and campgrounds are sprouting up amidst Namibia’s spectacular scenery. It is here you’ll be able to have close encounters with wildlife, as well as enjoy the food, cultures, traditions, and stunning landscapes of Namibia. I’ll write more about our journey southward to see (and climb) the dunes, northward up the wind-swept Atlantic coast, and then eastward across Namibia and onward to the Okavango Delta in Botswana. Today’s post is courtesy of Christopher Elliott, author of “How To Be the World’s Smartest Traveler” (National Geographic). And for good reason. Airlines demanded way too much in exchange for a slightly more comfortable seat--unquestioning brand loyalty, an encyclopedic knowledge of their arcane and constantly changing loyalty program rules, or a briefcase full of cash. 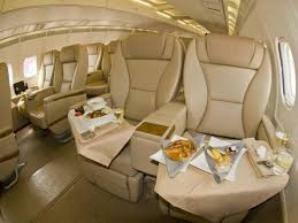 But there are ways to get a better seat without having to sell your soul to the airline or take out a second mortgage. They include booking certain flights, becoming a savvy bidder for first-class seats, and waiting for the right time to ask. If you have your eye on a better seat, try selecting a less-popular flight. 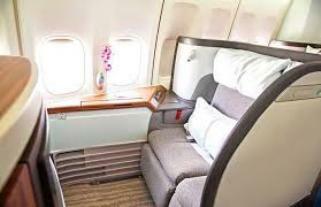 Generally, the more popular the flight, the more scarce and expensive the upgrade. 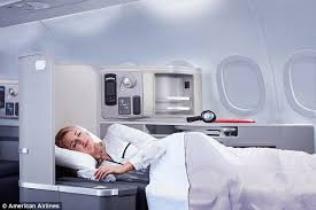 Certain flights, like the first flight of the morning or the red-eye (overnight flight), tend to be emptier. "I watch the seat maps and wait until the end to board," says Shawn Crowley, a college recruiter based in Washington, D.C. If there’s still an open exit row, he asks the flight attendant if he can sit in one of the premium seats without paying extra. "I've had it work every time the seat has shown open." Of course, the definition of a "better" seat has changed in recent years. 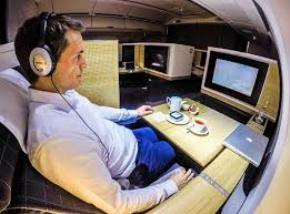 A decade ago, that would have meant a "premium" economy or business-class seat. Now, with all the seat assignment games airlines play, a better seat can mean anything that's not a middle seat. The hours and minutes before your flight leaves are the best time to find an upgrade. That's because empty first-class seats are worthless to an airline, which means the company will do everything it can to monetize them. Many carriers allow you to bid for a first-class seat online, but you need to know a few things before you jump in and name your price. How do you know if your seat is eligible for a bid? After you've made your economy-class reservation, log in to the airline site to see if you're eligible. Often, the airline also sends a notification. It's a blind auction, so you won't see what other passengers are bidding for the same seat. You'll get notified 24 to 72 hours before takeoff. "The key to success is knowing how many seats are still available and, more importantly, how much to bid," says travel writer David Yeskel, who has successfully bid on dozens of upgrades. 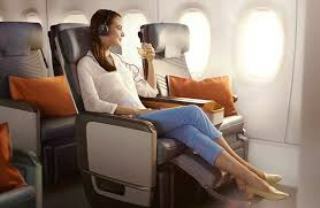 You can check available seats on your airline website or a site like Expertflyer. Yeskel says you should bid somewhere between 30 to 40 percent of the difference between the cost of your original seat and the cost of your desired seat. Rates vary based on the length of the flight. Experienced air travelers say that airlines, in their mad dash to monetize every seat, have created a lot of upgrade opportunities beyond bidding. A polite, direct appeal to a gate agent still can work, although they've probably heard every story already. But airlines sometimes will upgrade you even if you haven't asked. Actually, sometimes they'll upgrade you – and charge you – without asking. That's what happened to Robert Ryan, a marketing consultant from Chicago, who was flying from Copenhagen to Chicago recently. SAS decided to upgrade Ryan and his wife, even though they hadn't bid on an upgrade. He's right. I contacted SAS on his behalf, and it refunded the $1,609 it charged for his business-class seat. Be selfless. That's what Meera Sundram did on a flight from New York to Phoenix. "I gave my exit row seat to a really tall man who was about to be squished into an economy seat," says Sundram, a retired health care executive who lives in Amman, Jordan. "The flight attendant saw that and offered me a first-class seat." Instead, Sundram gave it to the tall guy invading her space. There's a special place in airline passenger heaven for folks like Sundram. Don’t be afraid to let the flight attendants know about any issues. Maybe your seatback TV or overhead light isn’t working properly, or a nearby passenger is rude or excessively loud. "Try politely telling a flight attendant and asking if there are any other seat options," says Molly Cowen, travel expert at the site TravelPirates. "If you’re lucky, you might be moved to a more premium seat." Just move to a better seat. Nathan Segal, a professional speaker from Calgary, Canada, waits until the flight reaches cruising altitude and then moves. "I have been able to move within coach to a window seat this way," he says. It never hurts to ask (Segal does), but flight attendants can't police every seat in economy class, so if you see an empty seat within your class of service, go ahead and try to claim it. This column originally appeared in USA Today and is used with permission from Christopher Elliott. Photos from free sites. Austin, Texas is one of the fastest growing cities in the country--and for good reason. There is much to see and do, the weather is generally mild (except August), and the scenery is spectacular. In this post I'll cover some of the sites that provide historical background of the city. I'll cover more fun and beautiful outdoor venues in a later post. State Capitol. The Capitol building of Texas buzzes with politicians, tourists, and students on any given day, and the gallery is a popular visitor spot when the Legislature is in session. Located at the north end of Congress Avenue, it’s an imposing pink granite structure, 14 feet higher than the Capitol in Washington D. C. Its grand rotunda, symbolic terrazzo tile floors, and life-size statues of Stephen F. Austin (“Father of Texas”) and famous general and statesman Sam Houston catch your attention immediately. The nearby Capitol Visitors Center details Texas history through exhibits and videos in the historic General Land Office Building. Free tours of the Governor’sMansion, 1010 Colorado St., occupied by Texas governors since 1856, are offered most weekday mornings. Bob Bullock TexasState History Museum. 1800 N. Congress Ave. Named for a long-time Texas politician, the museum is a dynamic tribute to the multi-faceted history of the state. The “Story of Texas” comes alive through interactive exhibits, rare artifacts, multi-media displays, and a special effects theater--not to mention the huge bronze star on the grounds. The facility also houses Austin’s only IMAX theater. From the 35-foot tall bronze star in front to the exquisitely designed interiors and exhibits, the museum is picturesque enough to be a popular wedding location. 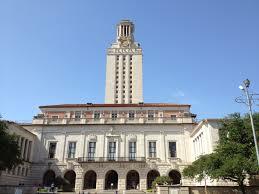 The University of Texas. Everything is bigger in Texas, including “The University.” Curl your fingers into the “Hook ‘em horns” sign and don something in burnt orange to join legions of avid Longhorn fans. Become immersed in college-town atmosphere by walking along The Drag, respectfully known as Guadalupe Street, for some of the best people watching anywhere. 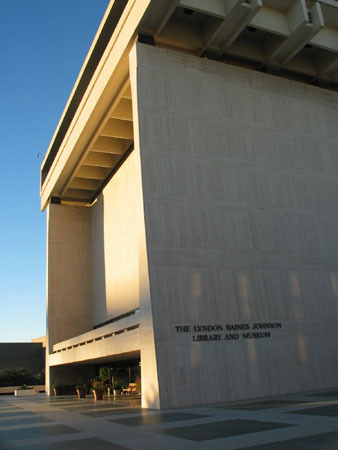 At the educational end of the UT spectrum is the Harry Ransom Center, one of the world’s finest cultural archives at 21st and Guadalupe Streets. Browse through 30 million literary manuscripts, five million photographs (including the world’s first), a rare Gutenberg Bible, and the infamous Watergate papers. 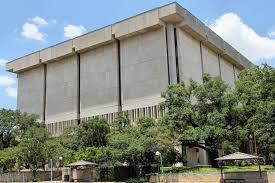 One of the country’s top university fine arts collections is showcased at the BlantonMuseum of Art. Lyndon Baines JohnsonLibrary and Museum. 2313 Red River St. (on the UT campus). Texas Hill Country spawned a political legend in LBJ, so it’s only fitting that Austin would host the nation’s most visited presidential library. In addition to chronicling the life and times of our 36th President, exhibits are also devoted to the influential Lady Bird. Learn more about LBJ at Johnson City, Texas. For a different perspective about the man beyond politics, tour the LBJ National Historical Park atJohnson City, less than an hour away, west on Hwy. 290, where you’ll learn how Johnson’s beloved central Texas land and family influenced his formative years. Photos by Larry and Beverly Burmeier and free sources. 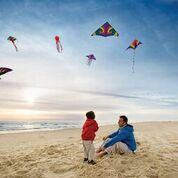 Explore the shores of Texas’ best beach, South Padre Island, for the ultimate family-friendly Spring Break getaway. 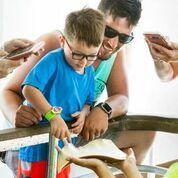 From action-packed water sports, to bay and deep sea fishing, to engaging nature tourism attractions, and relaxing on the white, sandy beaches, it’s no wonder South Padre Island was recently named one of the 10 best destinations in Texas for families at Spring Break. 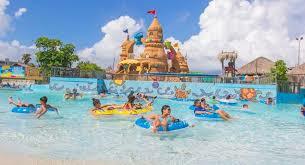 Schlitterbahn Waterpark and Beach Resort One of South Padre Island’s biggest attractions, Schlitterbahn Waterparks are considered the best water parks in the country. The outdoor water park is nestled right next to the beach with its own inland surfing attraction, uphill water coasters, and more fun than should be allowed. Learn more about sea life. Water sports galore Older children and parents can get active and take up kayaking, surfing, windsurfing, kiteboarding, stand-up paddle boarding or flyboarding. Rent your equipment and take a lesson from a variety of expert, local vendors. 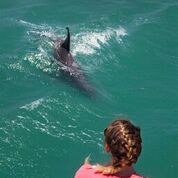 Sea turtle adventures and bird watching. The Island is a nesting ground for the endangered Kemp’s Ridley species. 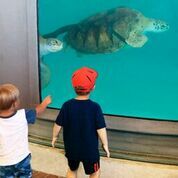 Visitors can get an up-close look at these and other species of sea turtles at Sea Turtle, Inc., an educational, rehabilitation and rescue facility on the Island. Also, the South Padre Island Birding and Nature Center, situated along the wetlands of the Laguna Madre Bay, features exhibits on the Island’s birds and other natural features. The Center includes a five-story viewing tower, viewing blinds, and boardwalk nature trails. Catch a cruise with the Black Dragon - All cruises include a crew of pirates entertaining with stories, face painting, treasure hunts, water pistol battles, sword fighting, booty, music and loads of family fun. Sunset cruises are also popular in the springtime. Go horseback riding on the beach with Island Adventure Park. The riding center has a large selection of horses specifically trained to accommodate children and first-time riders. In addition to horseback riding, the park offers a petting barn for the kiddos and a zip-line course for the thrill seeker. Hook a fish! Then, cook your catch. Fishing enthusiasts can enjoy bay and deep sea fishing; Inshore or offshore, charter boats or kayaks, surf fishing, you can get bowed up no matter what species you’re fishing for. Even better, many restaurants will prepare your catch for lunch or dinner, any way you like it (think grilled, blackened, fried and more).